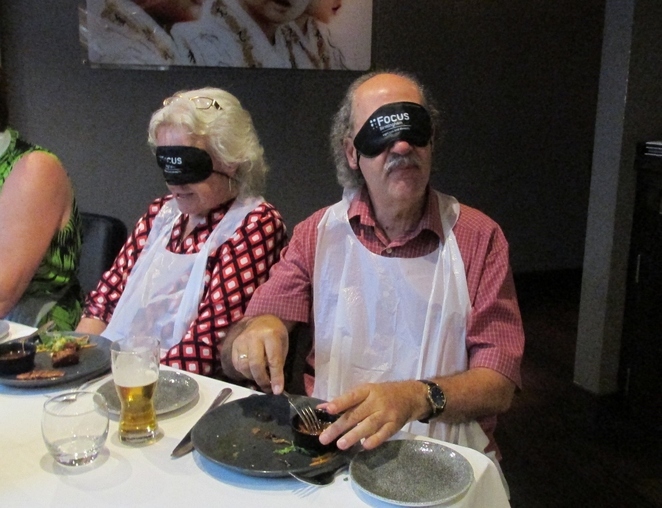 If you've ever tried picking up rice or a Tiger prawn with a pair of chopsticks, or chasing a pea around your plate with a fork, then how about taking on a three-course meal while completely blindfolded? 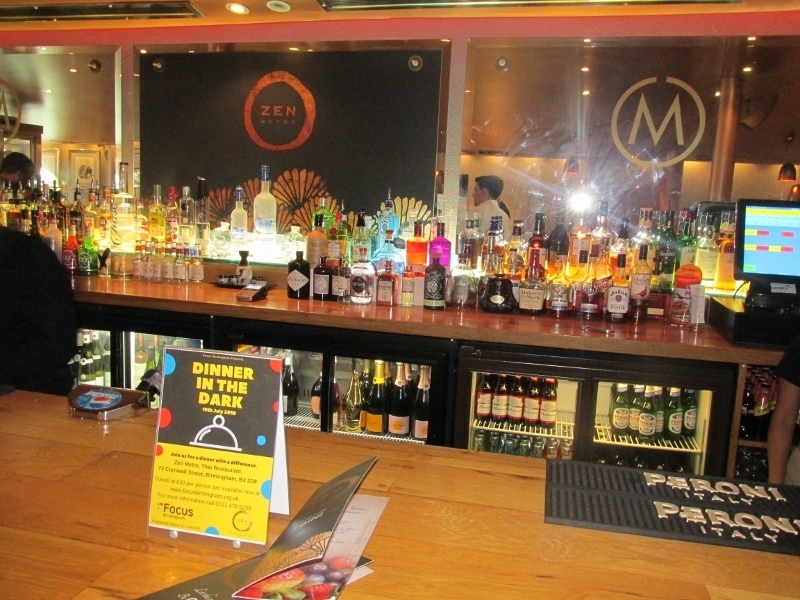 That was the daunting if entertaining challenge that faced more than 40 diners, including myself and my wife, at the Zen Metro Thai Restaurant & Bar in Birmingham city centre. 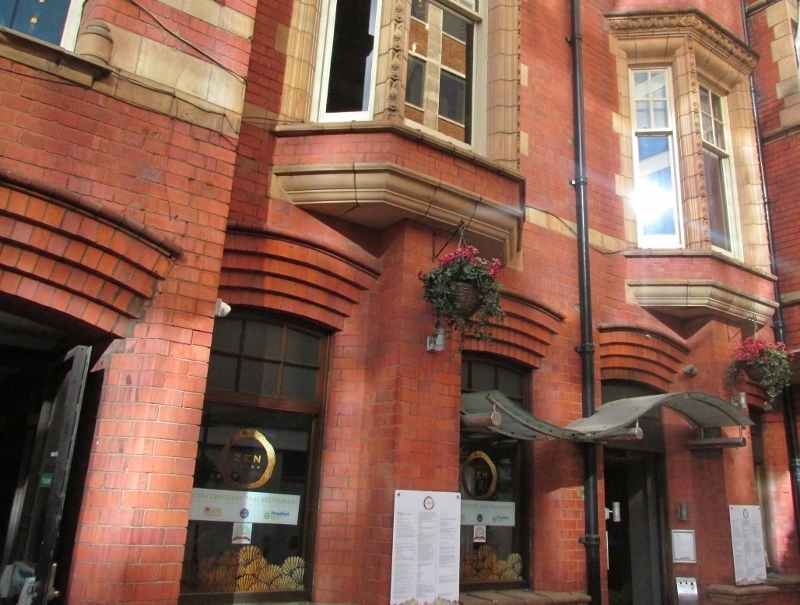 The occasion was a Dinner in the Dark experience, but this was made more relevant and profound because it was organised by a charity called Focus Birmingham, which specialises in looking after the needs of blind and partially sighted people in the region. The special event, which took place at the Cornwall Street restaurant on July 19, carried the serious message of raising awareness of both the charity and the thousands of local people who cope with a visual impairment every day. Guests at the Dinner in the Dark event had to be escorted to their tables by sighted guides, with one hand on the shoulder of the person in front. They were requested to keep their blindfolds on throughout the time they were eating but could remove them in between courses during which time they were encouraged to talk about their experiences of trying to eat their food and enjoy a drink without being able to see anything at all. Bibs were provided to prevent anyone getting food on their clothes. 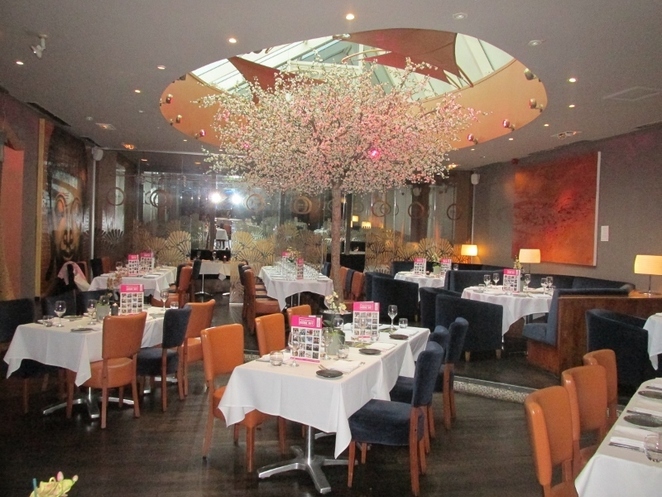 The event, which cost £30 for the three course meal and complimentary drink, began with an introduction by Susan Hoath, Chief Executive of Focus Birmingham, who spoke of the "passion and commitment" of working for an organisation like Focus. That was followed by a short talk from visually impaired Focus volunteer Dean Mills, a student at Birmingham City University, who said it can be devastating to lose one's sight, but that you can be "empowered" to achieve things with the help of Focus. Once seated, the blindfolded diners were served prawn crackers and assorted dips before the more difficult task of negotiating a selection of starters including spring rolls, spicy wok chicken, and smoked duck. Guests were then served a choice of four main courses, including Thai green curry, with rice, before a dessert to finish of crème brulee with vanilla biscotti. Susan Hoath said afterwards: "It has been fantastic. We have had a really enjoyable evening with a lot of laughter and fun, and also gently raised awareness of living with sight loss. I loved the experience. It was a magical mystery as you didn't know what you were going to be getting. It went really well and we are so grateful to Zen Metro for their support. We also wanted to thank their staff who joined in so enthusiastically." The Director of Zen Metro, Jaimon George, said: "I am really happy with the turnout. When Focus approached me to do this I knew the hardship of people with sight loss because a friend of mine gradually lost his sight over a number of years. So we were delighted to support Focus and we will be doing it again." Throughout the experience, diners were asked to raise their hands if they needed escorting to the toilet, or if they became uncomfortable wearing a blindfold, which no-one appeared to do. After the event, one of the diners, Harvey Chahal, aged 44, who was present with his wife Ravinder and daughter Simran, said: "I respect people with sight loss so much more after that experience." His 20-year-old daughter added: "It makes you realise how much you value your eyesight." Anyone wanting general information about Focus can visit their website here or call 0121 478 5200. Why? 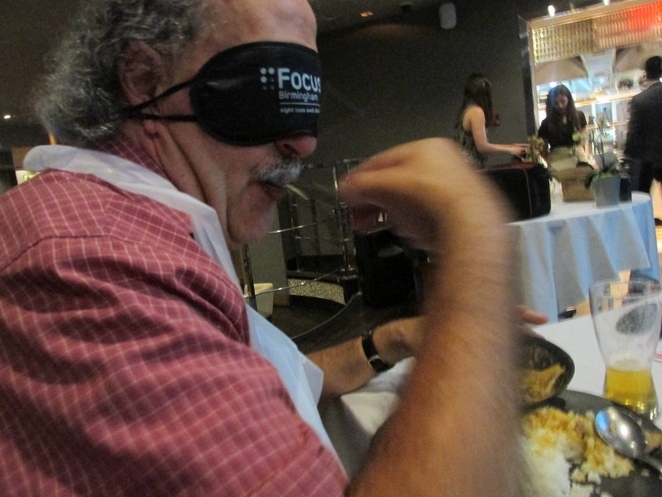 Ever Tried Eating A 3 Course Meal While Blindfold?